Avicii, no sabes lo especial que fue haberte conocido atravez de la musica , siempre me inspirabas a travez de tus canciones ,te extrao demasiado, pero si hay algo que nubca olvidare sera lo feliz que me hacias y haces con tu musica, te extrao muchisimo, y donde quiera que estes te deseo lo mejor, te quiero mucho mucho mucho, nunca te olvidare. Kedves Avicii! Tim Berg néven készített Seek bromance című zenéd belopta magát a szívünkbe. Férjemmel mai napig imádjuk, és persze a többi zenédet is. ❤ Már a csillagok közt zenélsz tovàbb! We all miss you. From the moment I first heard Levels, I fell in love with his work. He kept coming out with incredible music. I sadly never got a chance to see him live, but I know lots of other people did. His music was one of the great parts of life. He will be missed by everyone. He impacted the EDM community, and just music in general. We miss you so much. Tim, tack för all kärlek och empati du sprider i universum. Din musik och dina texter ger mig tröst. Tôi biết bây giờ có nói gì thì cũng đã muộn. Tôi chỉ muốn thật lòng cảm ơn anh, cảm ơn con người đầy nhiệt huyết, cảm ơn những ca khúc đầy cảm hứng mà giờ đây tôi vẫn nghe hàng ngày để động viên bản thân có thể sống tiếp thật vui vẻ. Tim, chúng tôi luôn cầu nguyện cho anh mọi điều tốt đẹp nhất. Yêu anh. Man, I first heard of Avicii in 2011 while listening to a YouTube playlist and the first thing that came up was his track, Levels. That song brings me back memories and good times. With that, I discovered a lot of artists including Nicky Romero, Porter Robinson, R3hab, Skytech, Armin van Buuren, Alesso, and many others. Without Avicii, I probably would've never heard about those artists or even heard or ever like EDM. Thank you for inspiring many producers and fans. Rest in peace, brother. Siempre encontré en tu música, motivación e inspiración. el más grande avicii por siempre!!! The first song that I listen his song was ”wake me up”.When I listen this song,suddenly I really have interest of him and his song.And gradually I really like his song.In 2016,June,5,he came to Japan and I went to his concert.That was fantastic.I had never forget that day and I think I don’t forget forever.AVICII and his song is part of my life and part of my heart.I really sorry about his dead but I want to live a life I will remember like he said if something bad things happened.Rest In Peace. I am from China, listening to the song of avicii for 4 years, he gave me the motivation to move forward. 我是一个来自中国的Avicii听众，我听他的歌4年了，它们给了我前进的动力! 网易云音乐@Kyle_李 欢迎和我交流音乐。 Avicii forever! Se que el tiempo ya ha transcurrido, solo Tim sabe porque lo hizo pero algo es seguro sea donde sea que el estaba ahí había felicidad, alegría y muchas ganas de vivir su cuerpo se ha ido pero su espíritu vivirá siempre en nuestros corazones. I was a freshman in college when I first Tim's music. His music was part of the soundtrack to me falling in love with someone in college and forming friendships that I will never forget. Thank you, Tim. You are missed and loved. I still remember sitting on the bus on my way to school in grade 2 listening to Wake Me Up. Thank you Tim for inspiring millions including me, you and the music you have created will never be forgotten. May you rest in peace Tim. Tim Ojalá supieras lo que significas para mí, tu música es lo mas hermoso que poseo, me hace feliz, me hace bailar, me hace cantar, me hace olvidar TODO, era un don el que tenías para atraernos a través de tus letras & melodías, TIM tu lo tienes TODO. Te extraño & te quiero, siempre estaré aquí escribiéndote & desahogando este vacío que dejaste. i love you TIM! Tim aka Avicii, saved my life. He brought my soul back to life. There are no words to express the vastness of the grief I feel by his loss. My heart is utterly devistated , overwhelmed with sarrow. Tim's creation, was a gift to everyone, his very Being. It is because of Tim Bergling I still live today, without him there was no light. He has changed the world. Blessed be. Wake Me Up was released just as I was wrapping up 7th grade. I heard it on the radio at a time when I didn't have a personal device I could plug earbuds in and listen to music when my disapproving father was not at home. Now, I'm 18 and enrolled in a year-long pre-college program and I, like the rest of the world, am still not over losing you. Thank you so much for everything. I saw Avicii at the Future Music Festival in 2013 and again in 2015 in Melbourne, Aus. Looking back reading the line up i remember the killer bands that were on and realize most of my current itunes lists are still bands i appreciated for the first time at those events. What an awesome time i had and great memories. What made me buy those tickets was actually to see Avicii. So i owe those memories to him. Gracias por ser una gran inspiración para mí y otros grandes productores. Tu música se recordará por siempre. Las leyendas nunca mueren y, aunque ya no esté presente, su música durará por siempre. 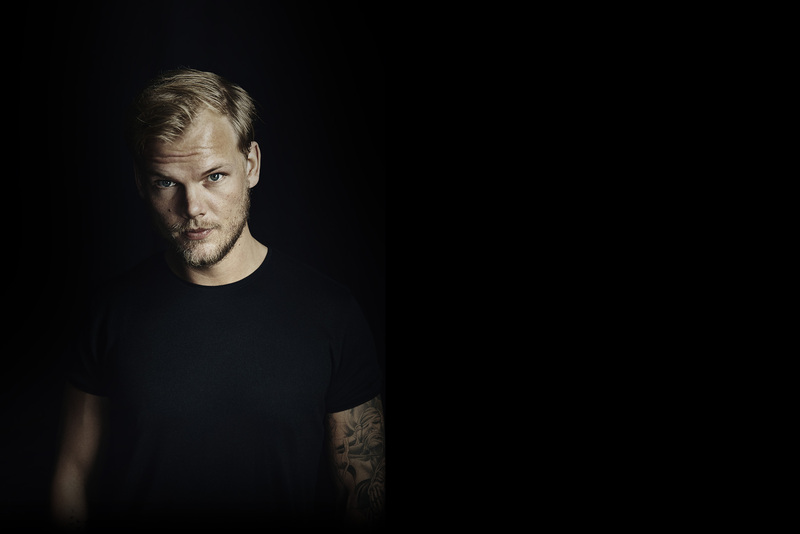 Avicii, may you rest in peace. Your music was very inspirational and motivational. Hope your legacy of music lives on. Hello parents! I writing from Hungary . My name is Gergo and memory for your boy ... So my grandgrand father lot year ago ,after 56 go abroad from Hungary to Sweden and he lost in. Drink all day , all night .. We dont keep in touch never ! Querido Tim, gracias por todo lo que me enseñaste a través de tu música, gracias por ser mi inspiración y mi alegría. Siempre te llevaré en mi corazón y mi mente. Por siempre Avicii ❤. Tim and his music was all that kept me and my mum going through bad times in 2013. His music was, is and will always be dear to my family. And not just that he was bloody brilliant and cared for those with nothing even when it wasn't his place to do so. Thank you for making my life better with your music . Pioneer. Icon. Tim. Danke für die wundervollen Melodien, Sie werden uns für Immer bleiben und ein Lächeln in unser aller Gesichter zaubern, dnke dafür das du uns begleitet hast. La música de Avicii es perfecta, escucharla siempre se levanta el ánimo cuando nadie más lo hace. Soñaba con poder conocerlo en persona algún día. Por siempre, será uno de mis mas grandes ídolos. Gracias Tim. I DJ in a little underground bar in Kingston Upon Thames in London, UK. Every Sunday night I drop Levels at about half 12 and it tears the roof off. Thank you for the tunes, they'll live on forever. I listened to avicii anywhere and everywhere, he was just capable of representing so many moods in his songs. His songs to me wasn’t just some beats attached enough to get everyone dancing. Every song he created, to me, was a different story. His music will live on forever. I discovered his music years ago when I was pretty little. I enjoyed the style and sound and grew to love his music a lot. When I found out that he had died, I was shocked. It was upsetting that someone so talented had left this world at such a young age. It was too soon. I wish his family the best they can have, and I'll never forget him or his music. Rest in peace, Avicii. Mitt starkaste minne av dig och din musik är känslan som spred sig när jag hörde ”Levels”. Bara okomplicerad glädje, det behövde jag just då, och många gånger sedan dess. Din musik gör att man glömmer bort allt för ett tag. Jag tänker ofta både på din musik och dig som person, med stort vemod. Du är saknad. From Scotland. I never listened or liked dance music until I heard your songs. I listen to them while I am walking in the highlands. Thank you for everything. Your music will never die. Stories is the best electro album i have never heard. RIP you're the first music producer to put some jazz influences into electronic music. It's so beautiful. Your music will live for ever. Avicii i hope that youre on a better place! May i will be a great DJ like you... You were the the best! I remember that I was a little boy and on the radio they played the song "Wake me up" and I was very excited. I heard that song in the loops. This is the moment I felt your special strength in your music. Avicii Thank you for all the good you have ever brought. rest in peace. Words cannot describe how I felt when I saw the news that you left his world. I had ravenous anxiety and depression growing up and there were times I didn't know if I could go on... Until I heard your music. I grew up in Atlanta where rap is very dominant but I would always talk about you and try to encourage my friends and others to listen to your music. Your music was always so beautifully made and always made me feel upbeat and positive. It hurts me you were in such pain but thank you Tim. I remember discovering the song Levels years ago and at the same time I got Spotify for the first time too. I had that on repeat lol, no one else really knew the song but I loved it. The beats, the somewhat calming but fast rhythm and the 'I gotta good feeling' part. Thanks for the great times your songs gave and may you rest in peace Avicii. Me uno junto a todos los que amamos a Tim y a su música, tristemente todos lamentamos la pérdida de esta gran estrella, tu música resonara siempre en mi corazón y en el de muchos más, gracias a Tim por su música. I remember the first time I heard you. I remember my biggest dream of going to a show, but I could not. There was no time. But you remain in my heart and in my ears forever. I love you Tim, from 2011 forever. O cara que me mostrou o caminho que vou seguir pro resto da vida,me mostrou a profissão que vou seguir até a morte e me deu um sonho.Vou levar seu simbolo e história no coração para sempre.Quando eu subir no palco pela primeira vez para tocar o meu set,sem dúvida nenhuma que eu vou tocar tracks suas.Eu realmente entendo as atitudes que você tomou ao longo de sua carreira,tanto de parar de fazer shows ao suicídio.Realmente,é muito complicado lidar com isso.Não se preocupe,eu vou seguir o legado. Sei e sarai sempre il mio grande idolo Tim, la tua musica suonerà per sempre. I remember jamming to Levels in 2011 with my older sister, then to Wake Me Up and a couple others which names i can't remember, too. Knowing too late his story of being pressured by his former manager, his pancreatitis caused by his drinking habit and how he died just breaks my heart. Wish i had known you better before and been a bigger fan back then. RIP, your music was staggering and you'll always be a great EDM dj.